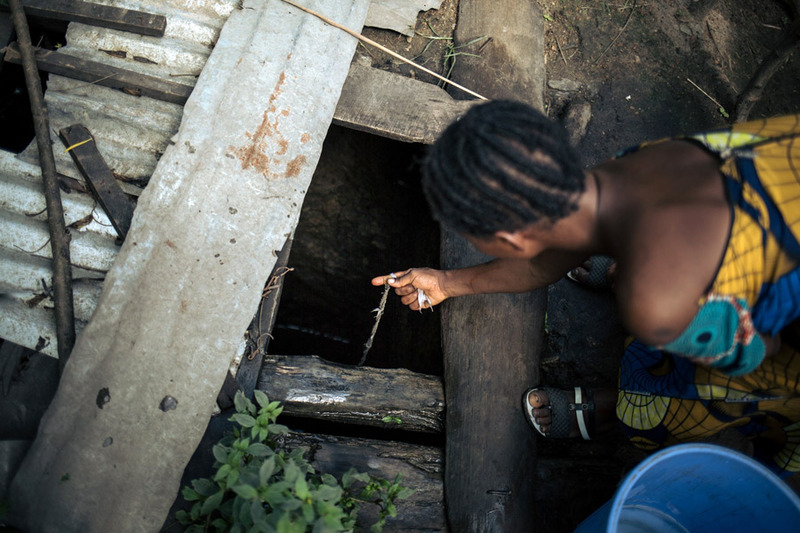 The Democratic Republic of Congo is Africa’s most water-rich country, yet millions of people do not have access to clean water, drinking instead from unprotected water sources that puts them at the risk of contracting deadly water-borne diseases such as cholera. Crossing areas of rainforest and deep valleys, the Fizi territory in the South Kivu region is one of the most inaccessible places. Poor conditions often make roads impassable for several days especially when there are heavy rains. 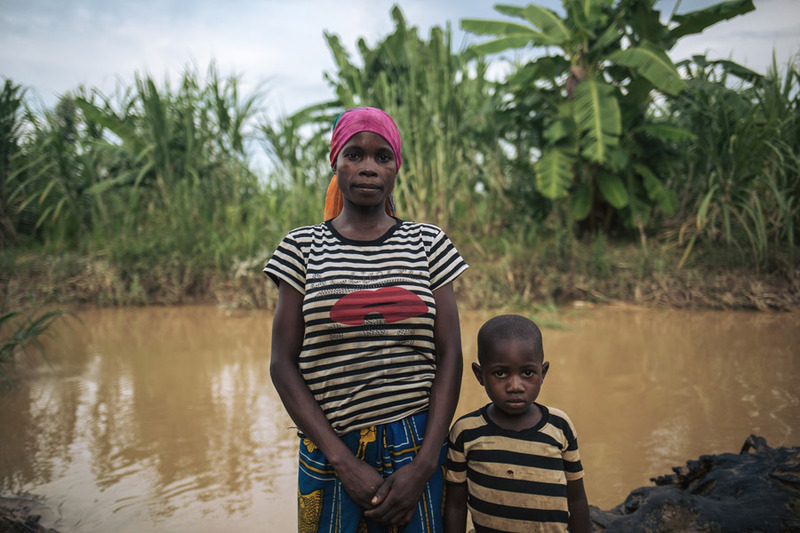 Rizini fetches water to the contaminated river in Malinde village three times a day with her four-year-old son, Jack. She and her children must often go to the hospital because they are infected with parasites or have diarrhea. Yet the people of Fizi have opened their doors to thousands of people displaced by conflicts. As the population has grown, so has the demand for water, putting pressure on the few existing water infrastructures in the area. 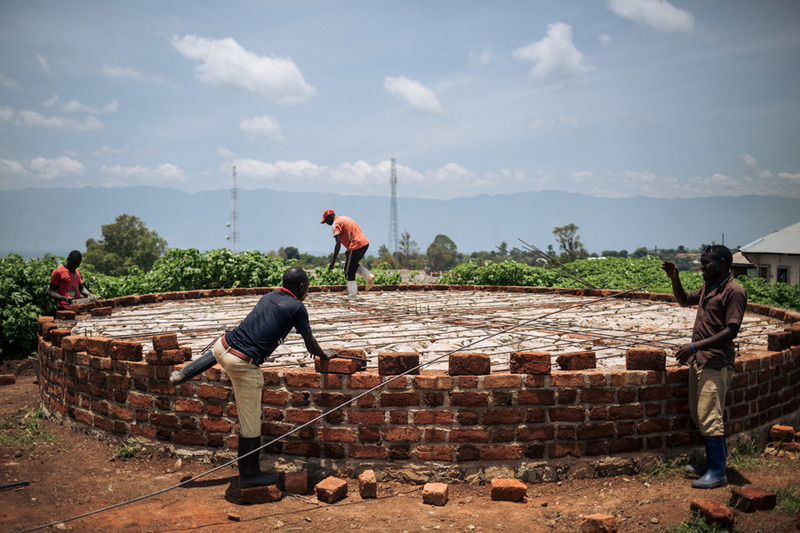 Most of the water sources and wells have been damaged during armed conflicts. Affected families are forced to consume unsafe water from stagnant sources, resulting in risk of diseases like cholera and ultimately loss of life. 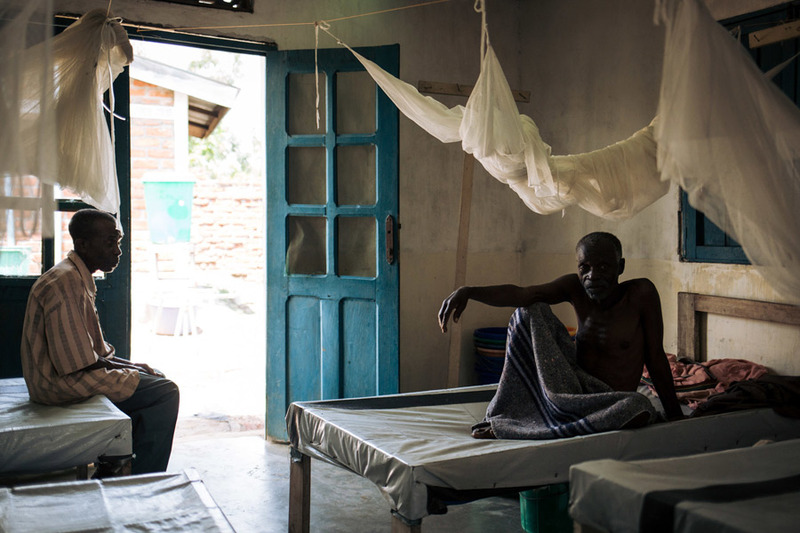 Lwako has been hospitalized in the clinic for the second time due to cholera. He came to live and work in Sebele in 2004, but in those 15 years he has seen no improvements in the access to clean water in the village. Communities traditionally rely on drinking swamp water. The few hand pumps that exist are running dry. 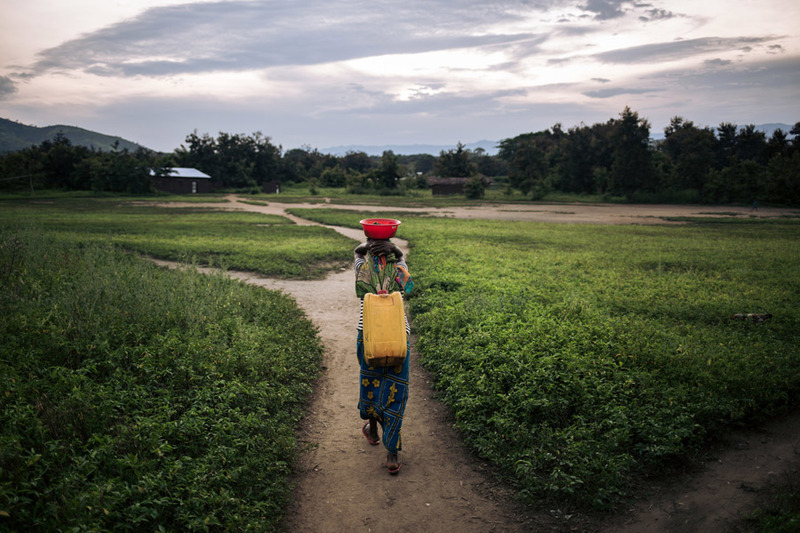 Women and girls have to walk very long distances for water and they face many dangers on the road such as kidnapping, robbery or sexual assault. School-going children also tend to miss school as a result. Once Rizini has fetched water, she carries the jerry can filled with 20 liters of contaminated water on her back, held with a strap around her head. She knows that this water is not good for her, but what can she do? She doesn’t have another option. The population, fearing the insecurity in the region, must limit their movement which makes it difficult for them to access food. Fishermen fishing in the Lake Tanganyika say they no longer go to the lake for fear of being arrested or killed by armed groups who control the area. She has to get up at four in the morning and she goes there again at the end of the day. While she’s away, she cannot look after her children. Given challenges accessing the Fizy territory and the risks women and girls face in the search for water, there is a real need for a solution that will be sustainable and will reach very remote villages. For these reasons, Modest Mirindi, Oxfam’s public health engineer and his team recently started the construction of a more than 100-kilometers-long gravity-fed water supply system, that taps into a river source in Mitumba mountain ranges. 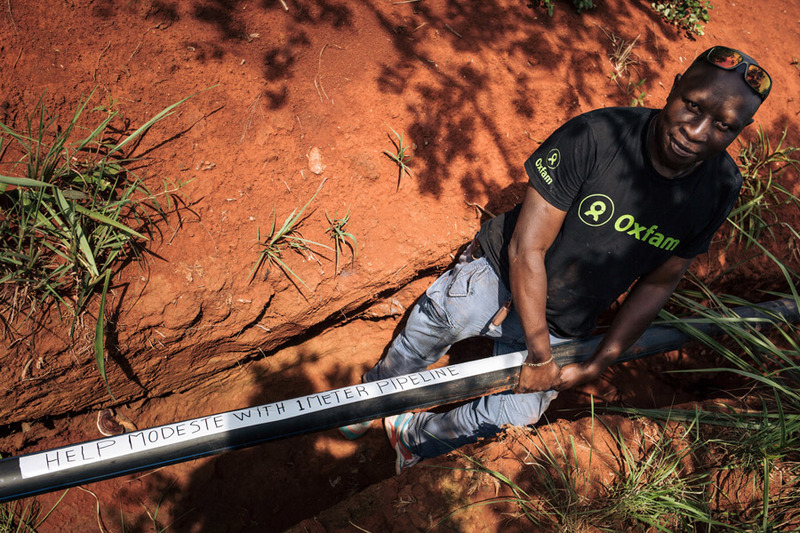 Mlembe started to work for the Oxfam Pipeline in June 2018. He is very proud that he and his teams were able to lay the pipeline across the mountains, especially given the difficult circumstances in which they had to work. 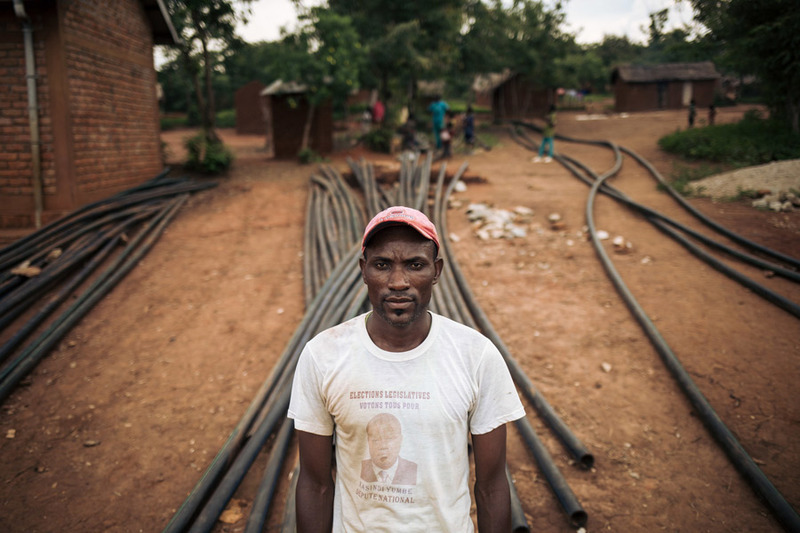 As far as we know this pipeline is one of the longest ever to be installed by an NGO. The pipe is so long because the source of water is located very high in the mountain, and so difficult to access. Once completed, this pipe will provide safe water to more than 80,000 people across four main surrounding towns of Fizi, Sebele, Katanga and Malinde, including the area hospital. We are already working with local authorities on the ground. They have developed a keen interest in the project as it offers them the hope of having a safe water supply for the hospital and maternity unit. Construction of a water platform in Fizi. With your support, Oxfam will provide the communities of Fizi, Sebele, Katanga and Malinde with safe water to prevent cholera-outbreaks and other water-borne diseases. The project will reduce the burden on women and girls and leave them with more time to go to school and undertake other responsibilities in the community. Men and women who are too afraid to walk long distance will be able to access safe water, which is a fundamental right. Modeste Mirindi, Oxfam’s public health engineer. We are still missing some of the funding needed to complete the pipeline, so we ask supporters to step in and help the engineer Modeste and his team to provide clean water to as many people as possible. Support our humanitarian work in DRC by donating today. Your donation will help us meet the most critical needs and save lives. In the Democratic Republic of Congo, Oxfam's work combines short-term emergency relief with longer-term development projects.